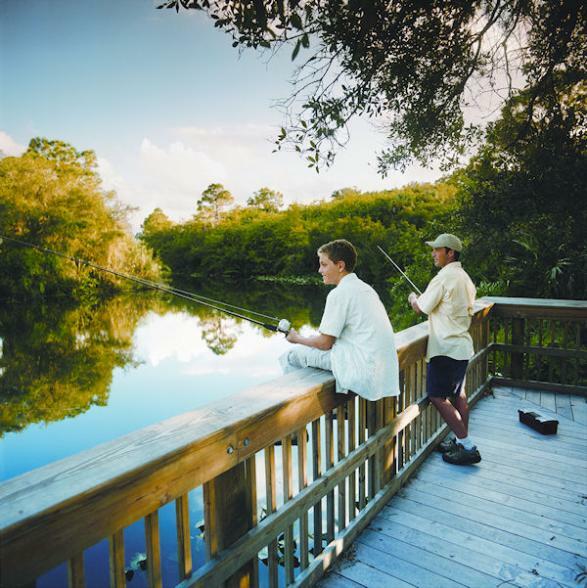 Fort Myers and Sanibel, located in southwest Florida, offer something very special indeed. Here you'll discover a tropical island destination where 400 species of shells are washed ashore on over 50 miles of idyllic white-sand beaches. You'll enjoy wildlife on every beach and behind every tree. You'll dine under the stars with sand between your toes. You'll enjoy sail boat island hopping under azure skies. You'll experience a gentle, laid-back way of life on some of the USA's most undisturbed, beautiful beaches. This 7 night Week In Paradise holiday highlights the enormous amount of interesting activities and sightseeing on offer in this breathtaking part of Florida. Love food? This area of Florida is know for it excellent varierty of dining options, we've mentioned them in the holiday below to get your taste buds going. 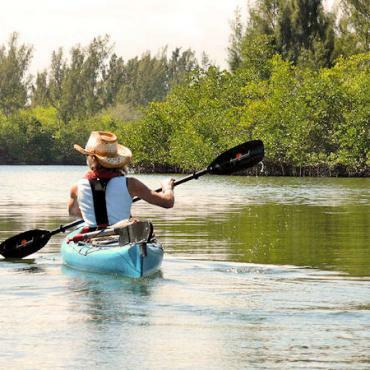 Check out the videos on Fort Myers and Sanibel Islands featuring Nature and Ecology, History and Culture, Beautiful Beaches, Sports and Activities and of course, Delectable Dining. 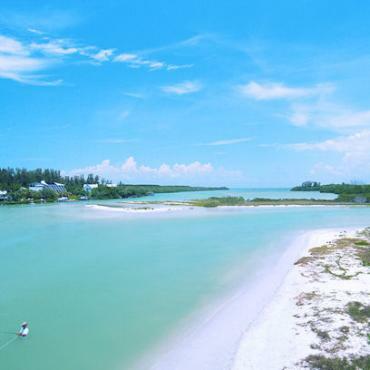 Your base for your Week In Paradise is relaxed, idyllic Sanibel Island. Here no stoplights or street lights will intrude on your stay and you'll see no building taller than a palm tree. 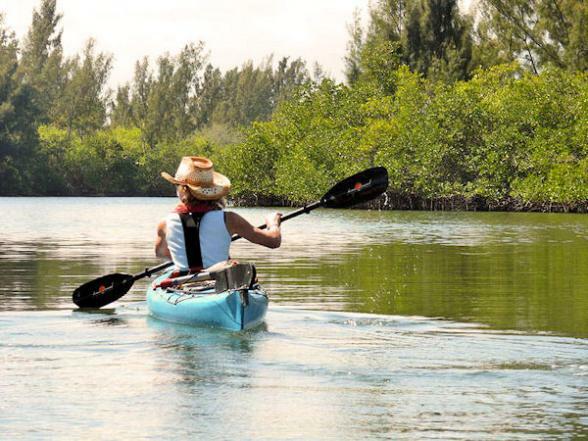 Tiny Sanibel Island is a relaxed and romantic haven. It is dedicated as a wildlife sanctuary, abounding with native and migratory birds and is renowned for its seashells, heavenly beaches and excellent restaurants. 400 species of shells are washed ashore on over 50 miles of white-sand beaches, and the frequent bending down to collect yet another beautiful addition to the shell collection has given rise to the nickname – the Sanibel Stoop. Enjoy a drive (or bike ride) through the J.N. Ding Darling National Wildlife Refuge, keeping an eye out for gators, manatees and huge flocks of migratory birds. Walking tours are offered on a limited basis. Have lunch at the lively Island Cow, then take a stroll around the Sanibel Historical Museum & Village. A visit to the Bailey-Matthew Shell Museum will come in most handy as it will help you identify the shells you'll encounter over the next few days. End your relaxing day with a romantic dinner at The Mad Hatter. Start the morning off with freshly brewed coffee and superb donuts at Bennett’s Fresh Roast, before you enjoy the history of the Edison & Ford Winter Estates. 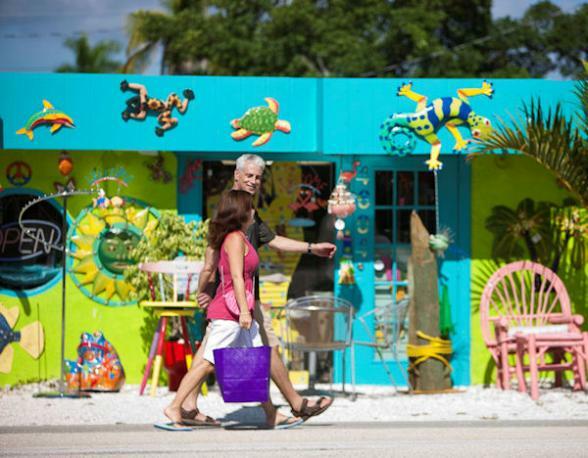 Take the walking tour of downtown Fort Myers, which is offered twice per week by the Southwest Florida Museum of History, then have lunch at the Veranda, downtown. If you fancy combining relaxing and sunbathing with sightseeing, jump aboard a leisurely cruise along the sunny Gulf Of Mexico with J.C.Cruises. If you have kids, check out the fascinating hands-on Imaginarium at Fort Myers. Have dinner under the stars at the McGregor Café (we recommend the snapper), or combine dinner and a show at the Broadway Palm Dinner Theatre. Today it's time to explore Pine Island in the Cape Coral region. 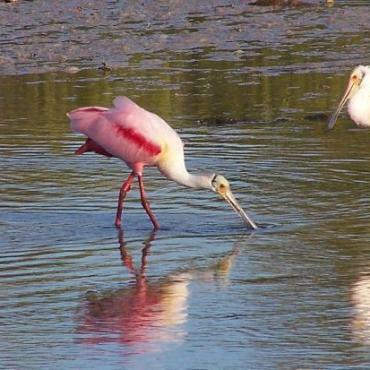 At 17 miles long, Pine Island is the largest island on the west coast of Florida. Secluded, quaint and described as country waterfront, it's fringed with mangroves rather than white sand beaches, it boasts a unique rural island heritage that will certainly charm you. Browse the galleries in Matlacha or for the more energetic go kayaking with a local guide. 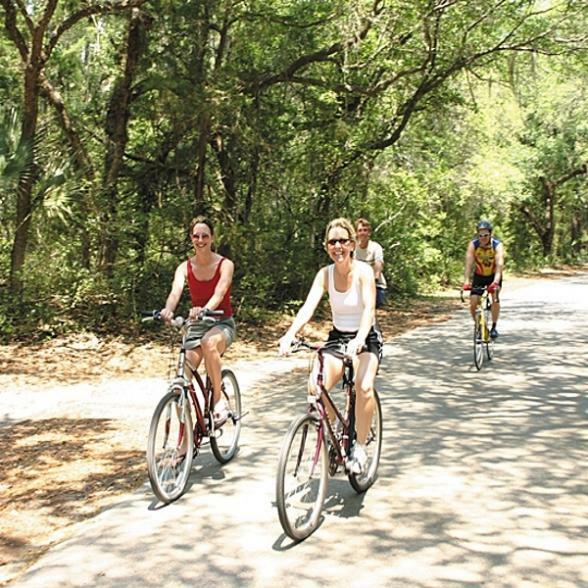 Do make sure that you walk along the Calusa Heritage Trail at the Randell Research Centre. A visit to the historic Tarpon Lodge on Pine Island is a must for lunch or dinner, followed by drinks and live muisic at Bert's. Start the day off with a morning swim on Fort Myers Beach and brunch at the Sandy Butler. Enjoy dolphin spotting or deep sea fishing on lively Estero Island, or take the bridge across to Lovers Key State Park (once Lovers Key was accessible only by boat and it was said that only lovers travelled to the island to enjoy its remote and solitary beach.) Today, it is one of four barrier islands that make up this state park. 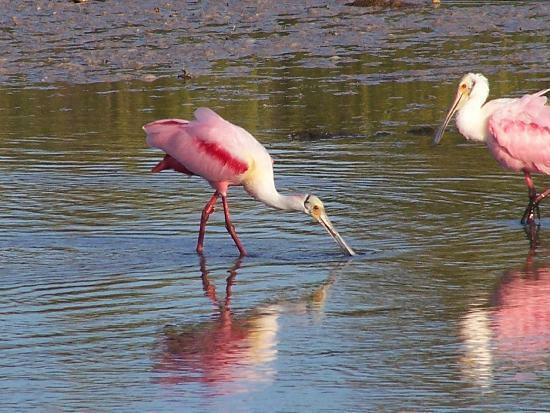 A haven for wildlife, the islands and their waters are home to West Indian manatees, bottlenose dolphins, roseate spoonbills, marsh rabbits, and bald eagles. The two mile long beach is accessible by boardwalk or tram and is popular for shelling, swimming, picnicking, and sunbathing. This evening make sure you dine in time to watch the sunset from the fabulous Bayfront Bistro on Estero Island..
Rise and shine and start your day by exploring Six Mile Cypress Slough Preserve, learn about this incredible Wetland community run entirely by volunteers. Fill up with a hearty Italian lunch at the fabulously named Two Meatballs in The Kitchen , in Fort Myers. Don't miss the Koreshan State Historic Site. Throughout history Florida has welcomed pioneers of all kinds, Cyrus Reed Teed was probably the most unusual, bringing followers to Estero in 1894 to build a New Jerusalem for his new faith, Koreshanity. The colony, known as the Koreshan Unity, believed that the entire universe existed within a giant, hollow sphere. The colony began fading after Teed´s death in 1908, and in 1961 the last four members returned the land to the state. Today, you can picnic, hike and fish where Teed´s visionaries once carried out survey experiments. Grab a coffee and chocolate at Norman Love Confections, before you head off for a spot of retail therapy at Miromar Outlets or more upscale shopping at Coconut Point. Sink a beer at Doc's Beach House on Barefoot Beach, Bonita, before heading back to your hotel. 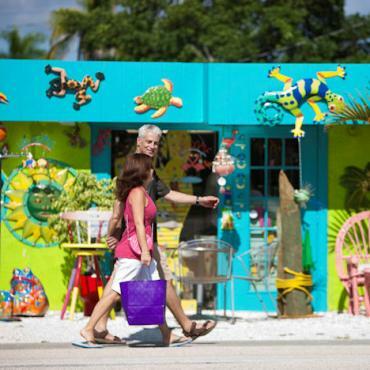 The outer islands of Lee County (home to Fort Myers and Sanibel Island) have a charm all of their own. Most are boat accessible only – if you want to explore islands like Cayo Costa, Cabbage Key, North Captiva and Useppa, you’ll need to block off an entire day. Pine Island, Sanibel, Captiva and Boca Grande can all be driven to. All of the above islands are inhabited; that said, when you’re on the boat-only island the only way around is walking, cycling or by golf cart. Bon Voyage can organise island-hopping tours with touring services like Adventures in Paradise, which offer boat rentals, fishing tours, and dine around tours, where you cruise out to the waterfront restaurant of your choice. If you fancy a lazy day on a super beach we recommend taking the ferry to Cayo Costa. 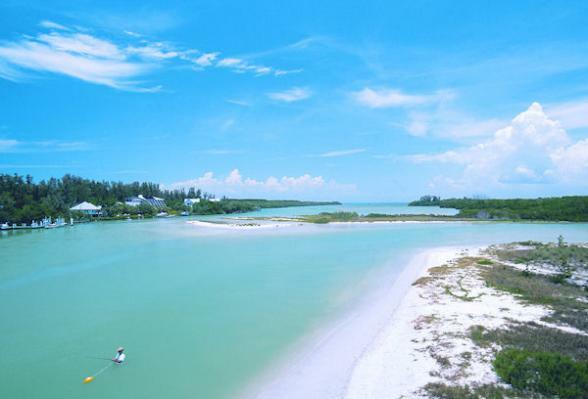 Enjoy the last day of your Week In Paradise on Sanibel Island and adjoing Capitiva Island. Relax on Bowman's Beach, check out the Sanibel-Captiva Conservation Foundation or the Clinic for Rehabilitation of Wildlife for information on island fauna. 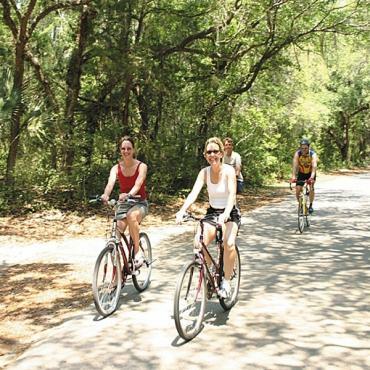 Perhaps hire a bike for the day and enjoy the miles and miles of easy cycle paths along Sanibel Island and onto Captiva Island? It's great way to burn a few calories and top up your tan before lunch in the idiosyncratic Bubble Room. End a perfect day watching the crimson sunset at Turner Beach followed by dancing at Ellington's Jazz Club. Perhaps you may want to extend your stay to the Beaches of Fort Myers and Sanibel or maybe pair this with another itinerary. Call the USA travel specialists at Bon Voyage to discuss your perfect Week in Paradise holiday.